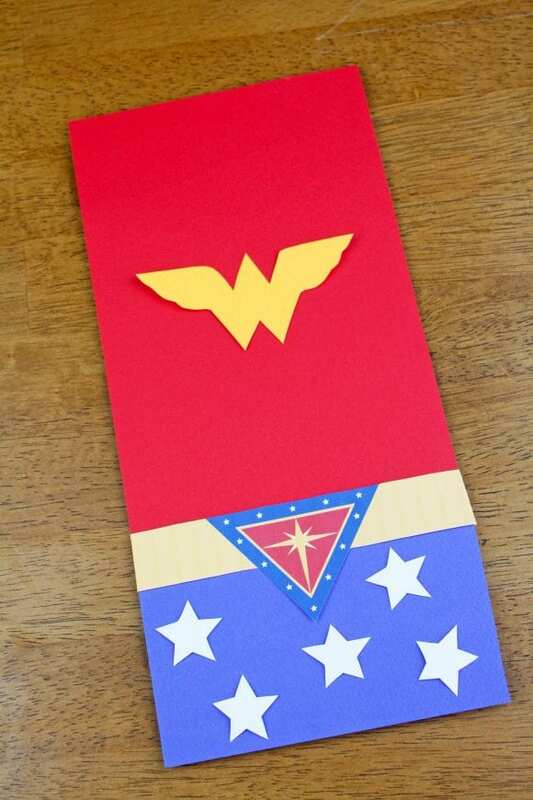 We're big fans of Wonder Woman over here! 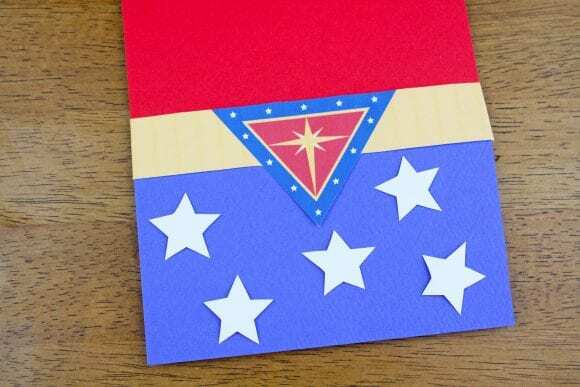 If you are too, and you're looking for an adorable Wonder Woman party favor DIY, look no further. 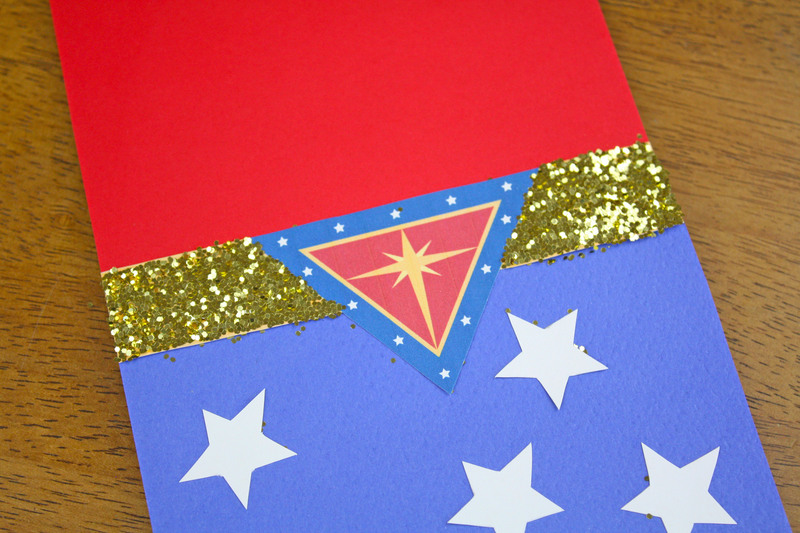 These use our free Wonder Woman printables and are super easy and inexpensive to make! 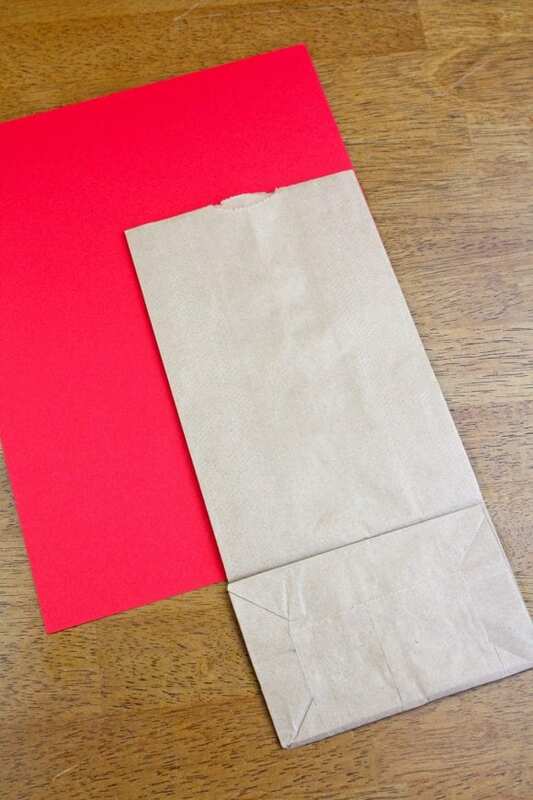 Place the top half of the paper lunch bag onto the red cardstock and trace around it. 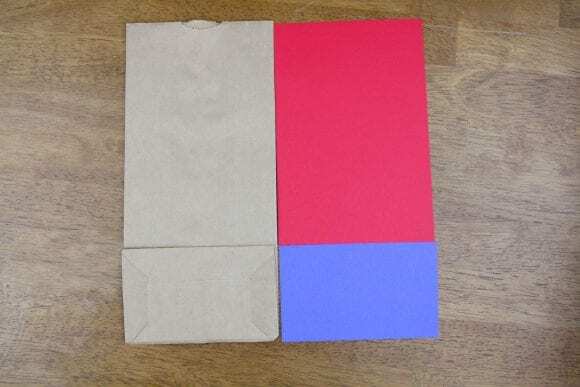 Place the bottom half of the paper bag onto the blue cardstock paper and trace around it. Cut both of the rectangles out. Line the red and blue rectangles onto the front of the bag and use the glue stick to attach. 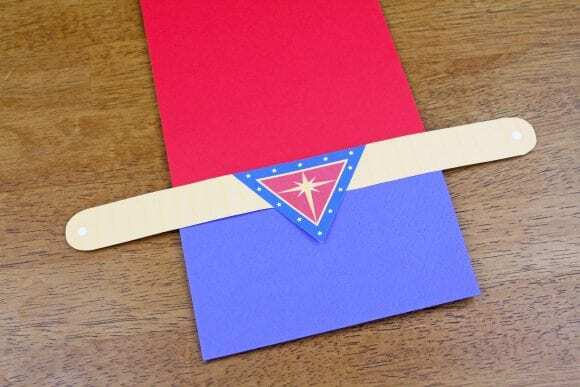 Print out the wonder woman headband from the free wonder woman birthday party printables. Cut out the headband and glue where the two rectangles meet. Make sure to center the headband onto the bag. Trim off any excess paper on the edges. Cut out small white stars from white cardstock and glue onto the bottom blue portion of the favor bag. Search Google images for the Wonder Woman symbol that you can cut out and trace onto gold cardstock. 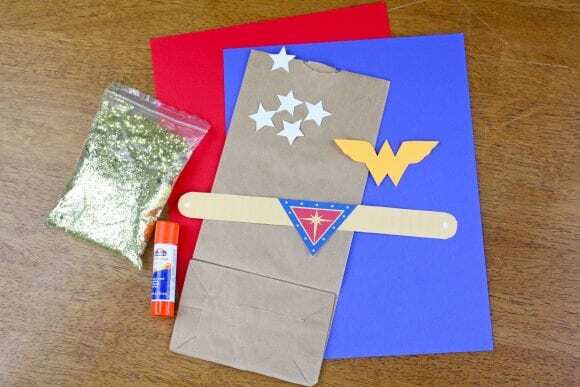 Trace and cut out the wonder woman “w” and glue to the center top part of the favor bag. Take some white glue and paint it onto the gold band of the headband you glued on in step 3. Using a small paint brush, paint on the glue to the gold part of the band. Sprinkle with gold glitter. Gently press on the glitter so that it sticks into place. Shake off excess glitter. This easy DIY craft was created by our style contributor, Shauna at Ella and Annie. Check out her work on her blog and on Instagram, Facebook, Pinterest, and Twitter. 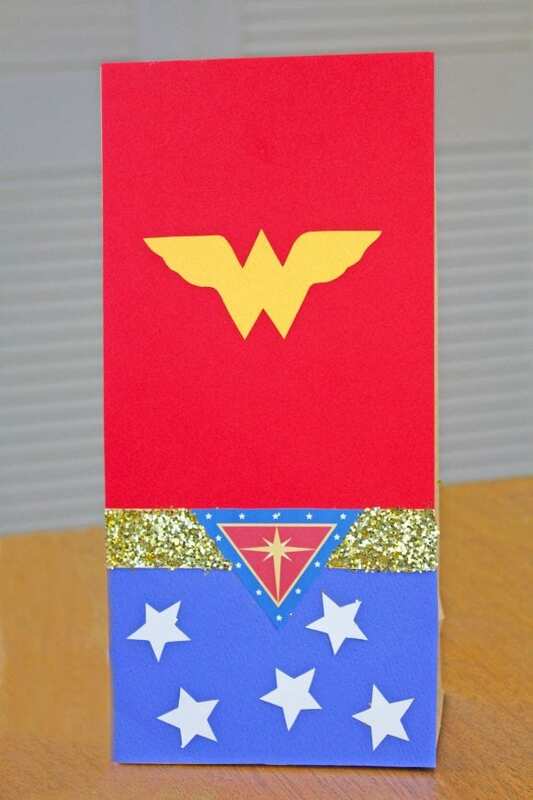 For more inspiration, please check out all the fabulous Wonder Woman parties on our site, and our Wonder Woman party supplies from vendors on Catch My Party.